In the recent announcement of Mid-America Emmy nominees, Nine Network of Public Media garnered a total of seven nominations, including two for our work in American Graduate. American Graduate was nominated for community service, while the digital segment around “Father Support Center” was nominated for public/current/community affairs – feature segment. "Recognition for our work on American Graduate is validation for the value of what we're doing with our partners to create better outcomes for all children in our region," Amy Shaw, Senior Vice President of Community Engagement, said about the nominations. "We're thrilled and proud to share this with all of the groups and individuals who make up this work." American Graduate has won twice in the community service segment in 2012 and 2014. Congratulations to all of the Emmy nominees. 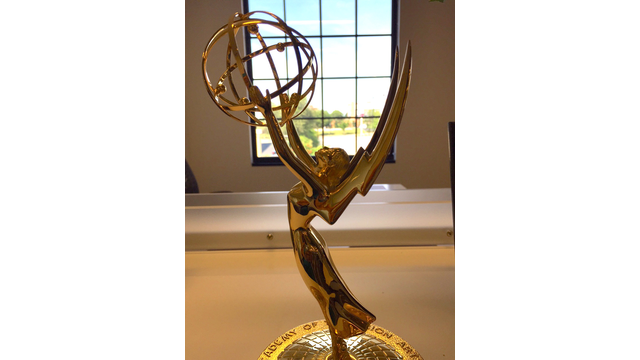 See all of Nine’s nominations below, and find all of the 2015 nominees on the NATAS Mid-America Emmy website.